One of the patient diagnose the liver tumor that’s measured 2.7cm x 2.4cm in right lobe segment IV. Dr Sabeel Ahmed Qureshi successfully treat this case by homeopathic medicines. 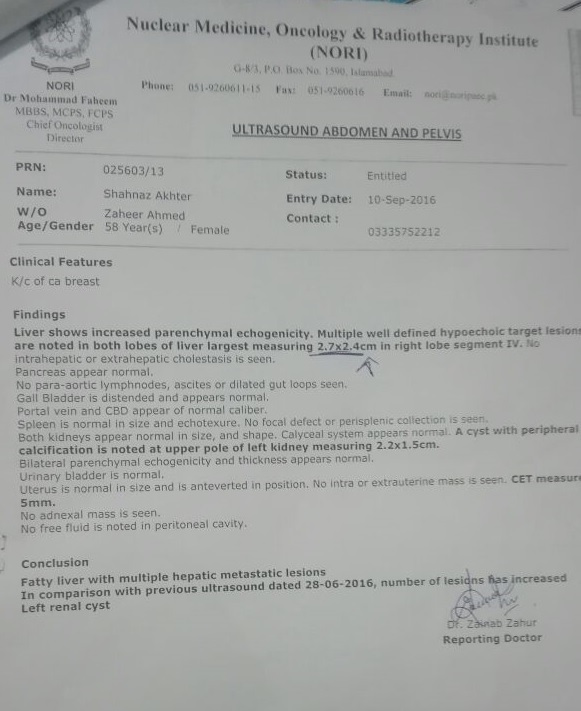 Checkout the medical report of test conducted on 10th September 2016. This is the report of test conducted on 17th December, 2016 (about 3 months after start of treatment). As you can see there was no evidence of any metastatic lesions is seen. Most of the symptoms mentioned above were gone too. 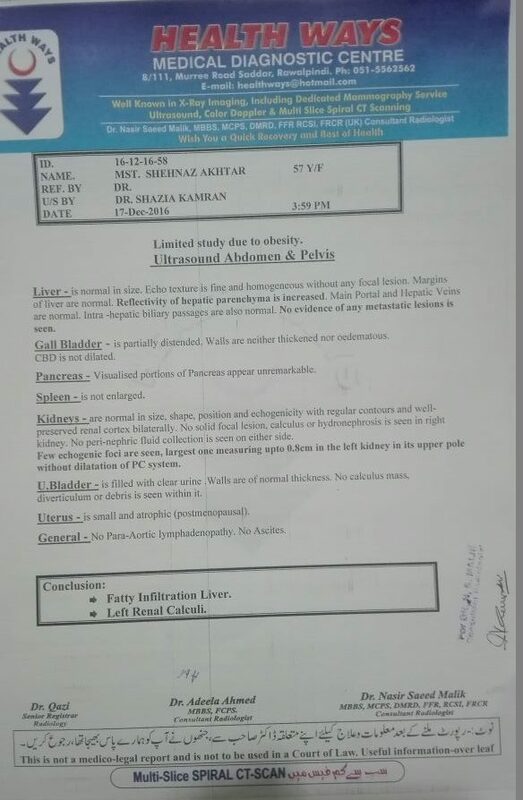 Patient has see improvement in his health and clear the metastatic lesions and now liver in normal in size. Patient is still under treatment for Renal Calculi. We will update this post when more improvement or complete recovery is reported.